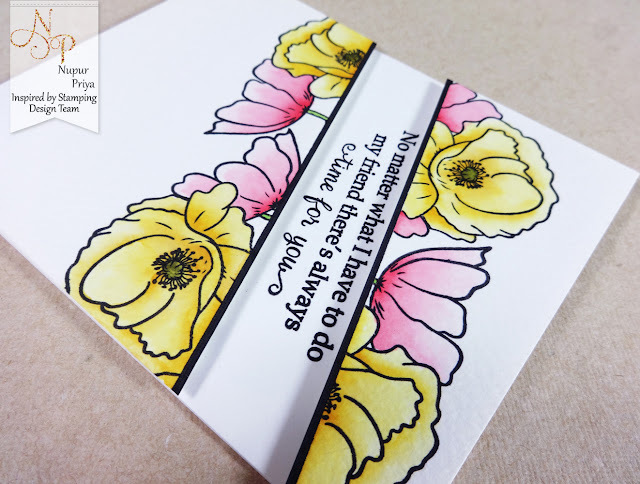 I stamped the poppies image from the FOTM Poppies stamp set twice on each of the diagonal edges & colored with distress inks. I added a black border on the diagonal edges. 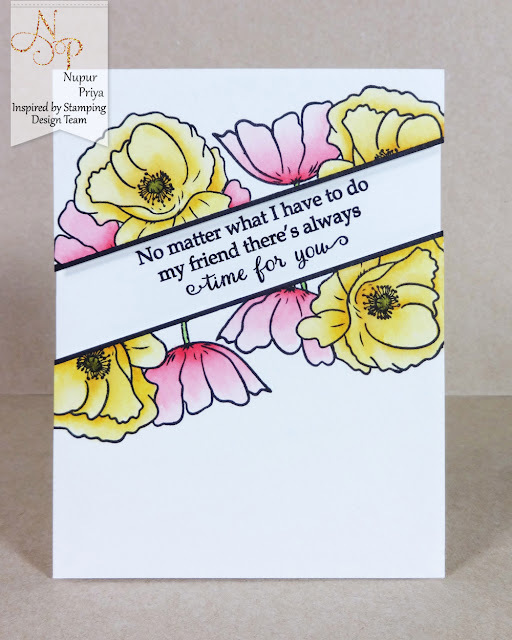 Then I adhered them with foam tape on my card base where I had already stamped the sentiment from the Sun-Ripened Grapes stamp set. STUNNING card - LOVE IT ALL!!! 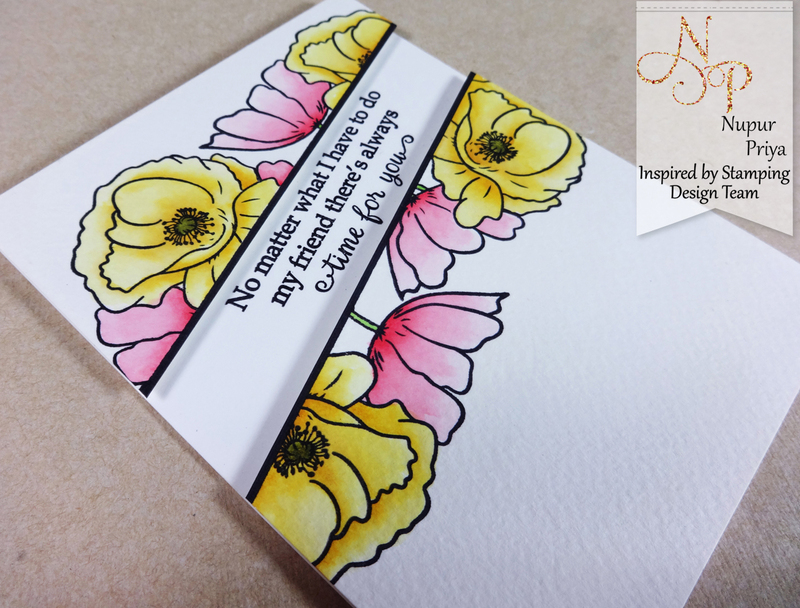 LOVE the poppies, LOVE the sentiment, LOVE your ELEGANT design and GORGEOUS colouring - WOW!!! Fabulous card. I really love your design.